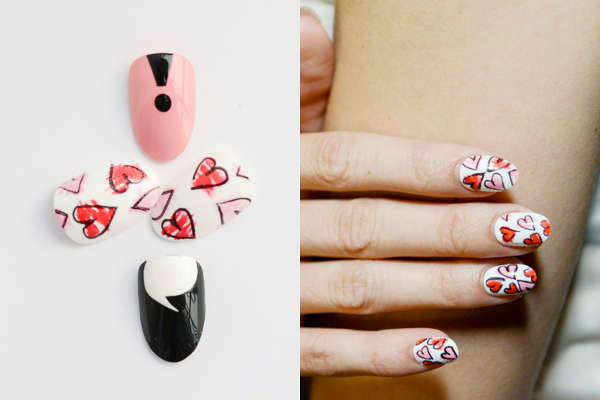 Every consecutive year, it is not just the wearable trends on the runways that take us by storm but also the unconventional nail looks that are complemented with the outfits. It is rightly said smaller the canvas, better the punch. 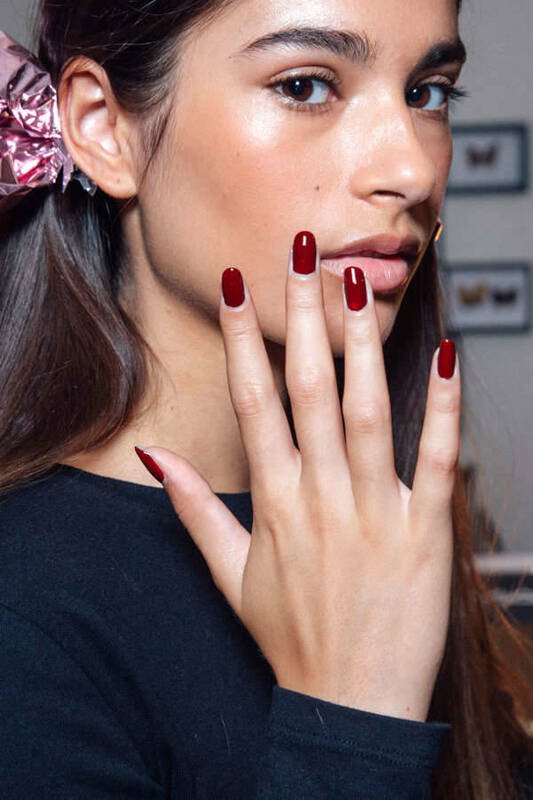 And, to bring you some of the best spring/summers 2017 nails from the runways, we have today compiled a list of 10 nail trends that will maximise the impact of your outfits this blooming season. Created with a spread of fluttering hearts, the nails are made with China glaze in white on white, hot flash and something sweet. Who could tell, the black outline is made with a sharpie. Morgan Taylor Lacquer lead artist Tracylee accessorised the nails with cuticle jewellery that resembles gold chains. You need to start with a clear base then use a thin brush to apply glitter and gold around the edge of the cuticle and seal the nail look with a clear top coat and you are all set. Taking inspiration from the trending metallic look of the season, Sally Hansen’s Madeline Pool created a distressed metallic look by applying a silver polish over white. Needless to say, the effect is 100% glamorous. 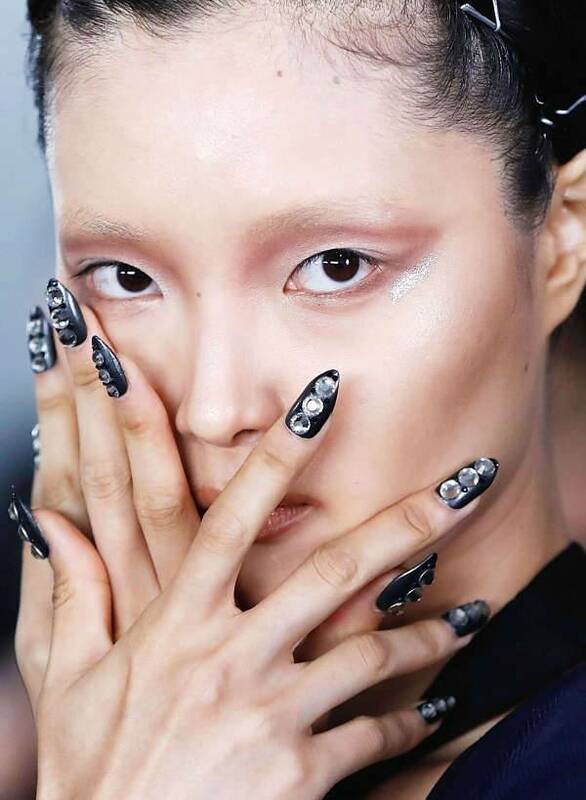 Celebrating their 10th year anniversary, the blonds came up with a futuristic metallic collection that extended to their nails. The lead nail artist Mei Kawajiri chose a chromatic colour scheme and embellished the complete look with sequins, stones and crystals. 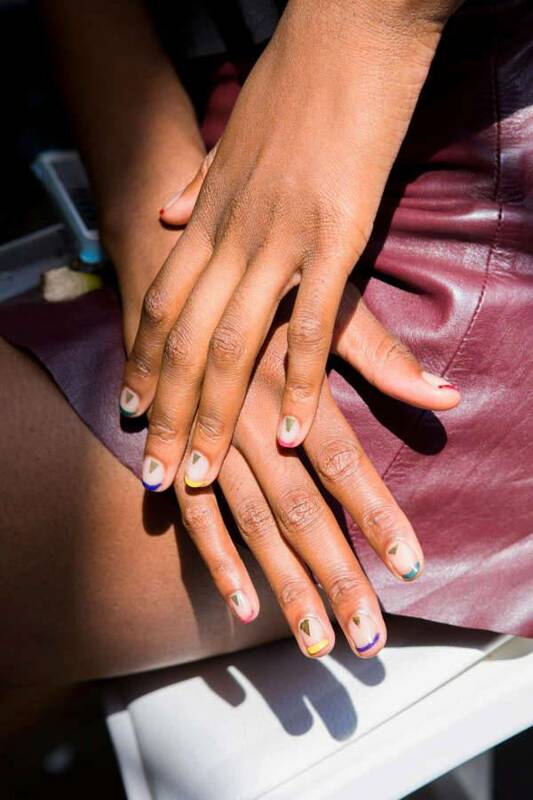 Opening Ceremony’s runways show featured some of the most classy and vibrant graphic nails by Naomi Yasuda for China Glaze. Manicurist Alicia Torello created a manicure that is equally minimal and high impact with a sharp stiletto shape. She applied two contrasting lacquers by Christian Louboutin: Just Nothing and Salonu. Creating a multicoloured French Manicure, the design alternates between OPI Nail Lacquer in Eurso Euro, OPI Nail Lacquer in Stay Off The Lawn,OPI Infinite Shine Nail Lacquer in Unequivocally Crimson, OPI Nail Lacquer in My Twin Mimmy, and OPI Nail Lacquer in Charged Up Cherry on each finger. Apply the colours evenly and just seal the design with a top coat and accent it with a triangle decal to the base. 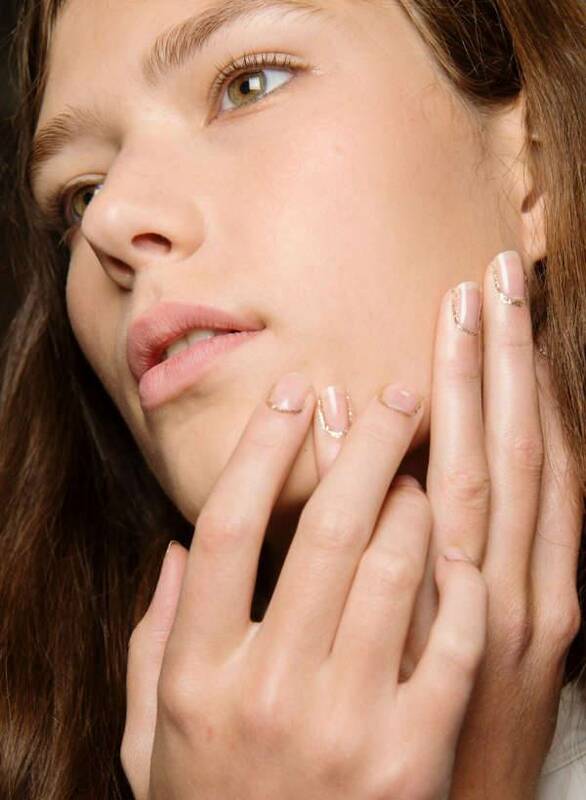 One of the biggest trend of the season, this year’s nail look was all about creating a splash. Seen across a lot of shows the manicurists dabbed a contrasting colour using the eraser end of the pencil and then applying a final top coat to seal the look. This deep rogue nail look was achieved with the help of natural nails cut and rounded on the edges. The black cherry hue is what does wonders to the luxurious and seductive outcome that is definitely going to garner a lot of praise. Manicurist Gina Edwards gave the models a graphic teal, black and white nail by Kiss Products. Give your nails the much-awaited spring makeover with these easy to apply and create nail designs.